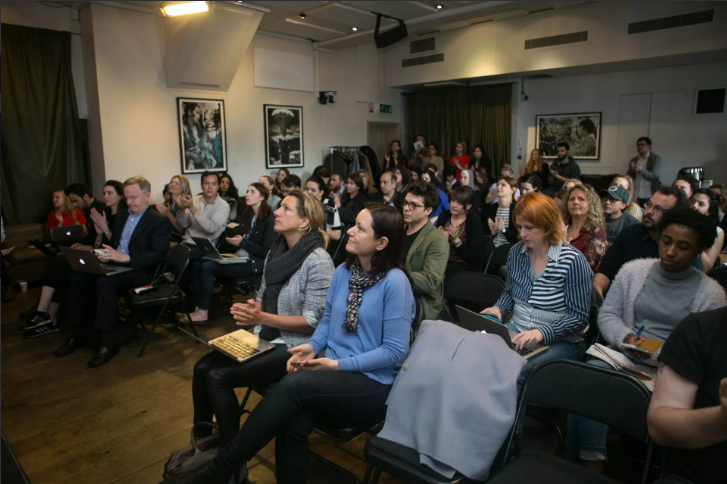 ORAMA was held at the Frontline Club in London March 31 and April 1. 3. 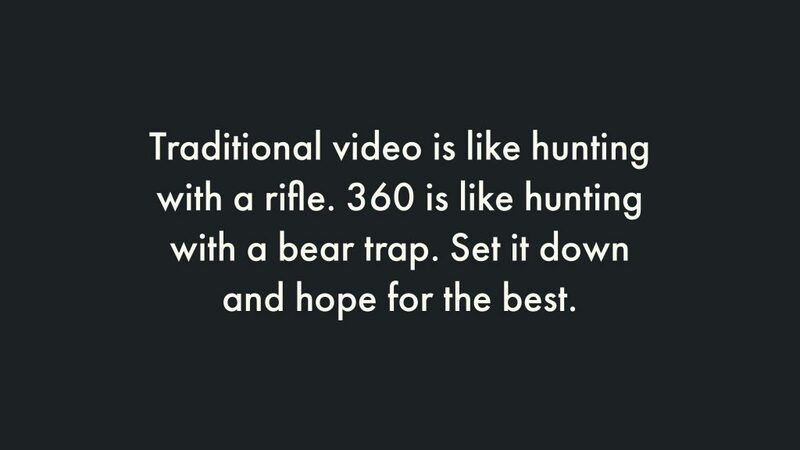 “Traditional video is like hunting with a rifle, while 360 video is like hunting with a bear trap. You have to set it down and hope for the best.” This quote by Video JournalistA description for the word journalist that goes on and on a bit that goes on and on a bit that goes on and on a bit. Ben Solomon, shared by the NYT’s Camilla Schick, illustrates one of the most complicated questions in 360—where to put the camera? Will McMaster o of Visualise suggests putting the camera where you would want to watch the scene unfold. 4. But, setting the camera down and leaving also presents a whole new challenge: establishing a rapport with your source. “In traditional video, the person on camera feels like they’re talking to you. In 360, you ask them to connect with a camera,” said The Economist’s Hugo Ward. Ward also shared a great lighting idea: attach a strip light to your monopod to light a particular person or part of the scene. “That can change the entire scene,” he said. 5. 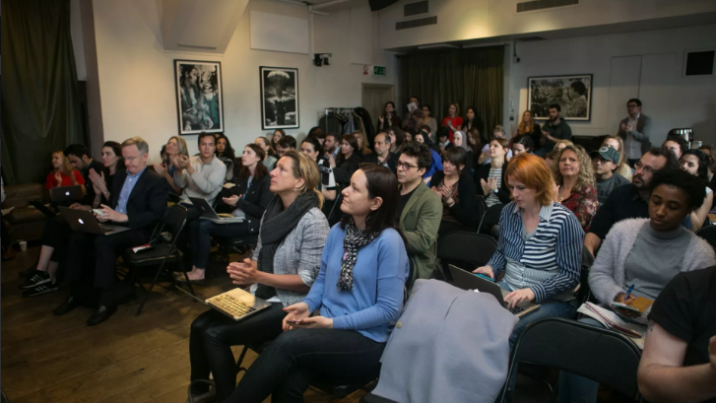 Another strategy to implement while filming: Shoot during the day, stitch in the evening, say Mary Matheson, Charlotte Mikkelborg and Marisol Grandon. Even if it’s just a rough stitch, you’ll have an idea of what you’ve got before it’s too late to fix it. 6. McMaster suggests keeping flow in mind, which will help when editing the piece together. “The flow of action in VR storytelling is equivalent to editing in film, but it’s way more complex,” said McMaster. “You have to structure the action of the story in such a way that it works spatially, temporally and sonically, and is easy for every viewer to follow. That is the subtle art of VR storytelling.” What does this mean? Match cuts. Where the action in one clip ends, the action in the next clip should begin. 7. 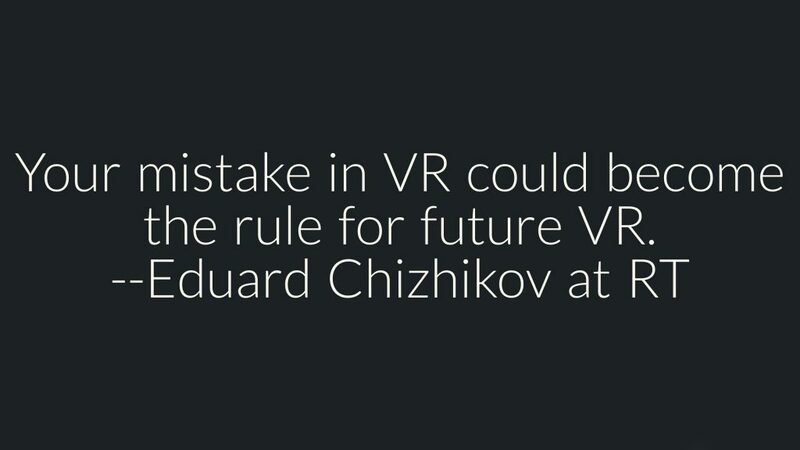 “If you show something really intense in VR, perhaps the next shot should be more mellow to give people time to reflect and recover,” suggests Schick. Another editing pro tip: really consider if you want/need subtitles. “Subtitles are extra difficult in VR, because you want people to be able to look around,” said Mikkelborg. 8. When it comes to a convincing VR experience, don’t write off low-tech solutions. Sarah Jones of Coventry University talked about her experience incorporating scent into VR experiences. For one experience, she set up a tent and placed a handful of scented items and a heater in the space to recreate a deeper experience for the audience. According to viewers, it not only made the experience more realistic, but it also cut down on motion sickness. 9. For game-based VR experiences to work as journalism, the event has to have actually happened, and it must have rules, says Al Jazeera’s Julian Ruhfus. But, the challenges of journalism in game format include developing content as well as rules for players’ decisions, developing a quest and metrics (in her case, maximum amount of information in the minimum amount of time), and maintain journalistic credibility.